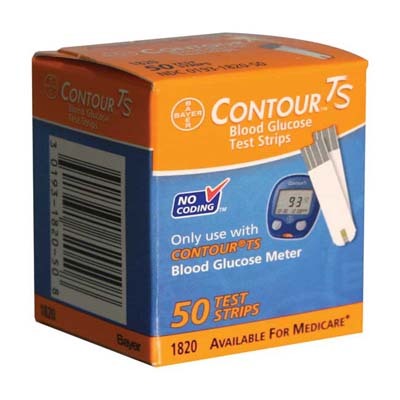 Bayer's Contour TS Sugar Test Strips - Easy viewing of sample fill ensures accurate results. Uses only 0.6 microliters of blood. Custom shape for easy handling.